I have brought a great deal for you today. If you could remember so well, there was this time when MTN was doing free calls which you have to activate with just N250, and people really enjoyed the package which later MTN realizes its doesn’t pay them before they shot it down. 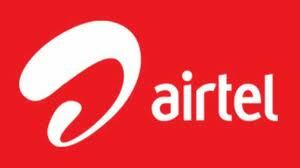 Now today, am here with a new stuff on free call, but this time around it’s not mtn network… but airtel. It’s a what its called Airtel You &me. i know guy would love this package, cos it will really make them have chance to talk to their sweethearts and more so, everybody would want a free call that would last for 6 good months and it would definitely save a lot of buying airtime. however, s people spend up to N2000 on airtime every week, while others spend up to N4k monthly just to hear their loved one’s voice. So this package is actually made for such people. So to cut the long story shot, How do i activate this so called Airtel You and Me… Here we have have the process below. 2. They will give you Two Sim packs, and register the Sim(s) for you. 4. Dial *422# send to activate it. 5. You can now make free call until you are tied of calling. But remember that this package is just meant for people that are using Airtel line, and its Airtel to Airtel… I remember so well that there was a time when Mtn used to give N570 every money.